If you are interested in a possible commission by Jonathan Dowling please contact us. Above: Downfield House, 19th century Georgian Factor's House. 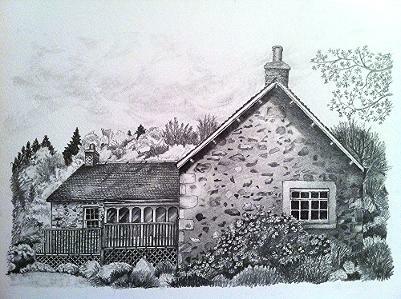 Graphite pencil on watercolour card. Above: The Lomond Hills, Fife. Graphite drawing on Beech wood. Approximately 1 metre wide. 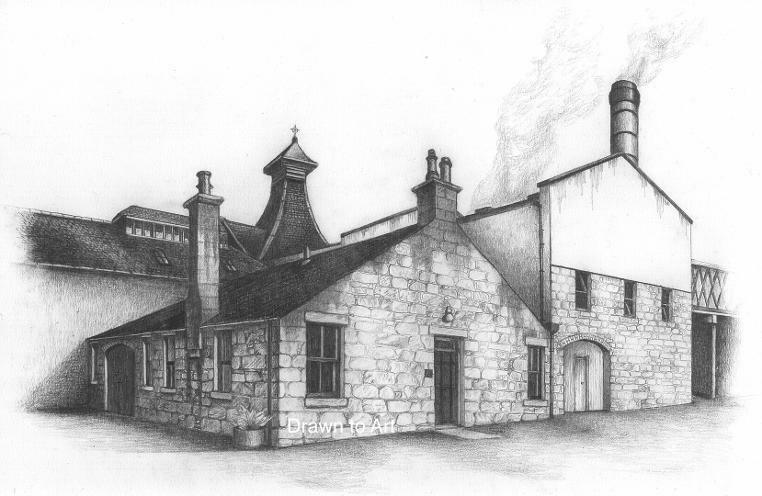 Above: Knockdhu Distillery, Aberdeenshire - Commissioned by the manager for their offices. 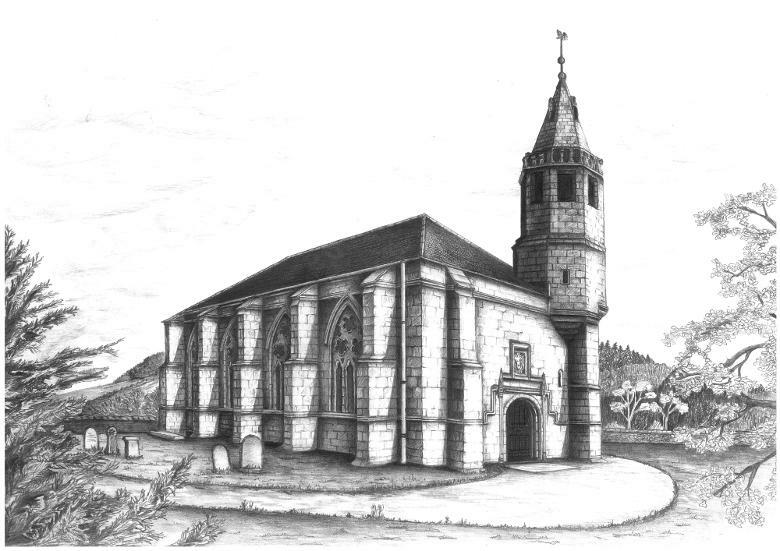 Above: Former Free Church, Falkland. Two tree trunk sections salvaged from the garden when tree cut down.